HH and the Boys: It's Nine-Nine-Oh-Nine... Yea for Mo Cats Day! It's also Friend Friday, so I'm wishing you all a wonderful Friday and weekend. And remember.... Max loves ya!! 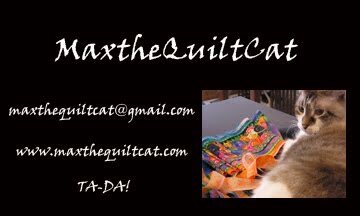 I just love that you keep putting pictures of Max on the blog. He was so handsome. Mo cats on the internets and that is our final answer. Take care. 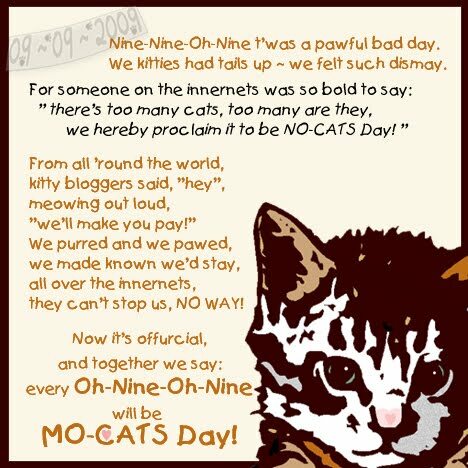 Happy Mo Cats Day! We love you too Max! My unable assistant claims to have not known about this day but we both 100% support it and rest assured it is on next year's calendar. Aww, handsum boy. 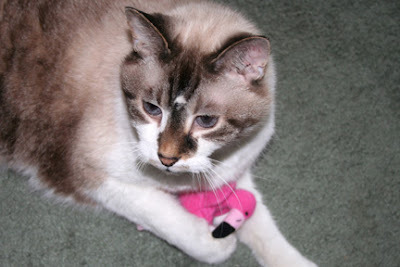 Thanks fur sharing this pic and Happy Mo Cats Day! We love you too Max! Enjoy your Friday! I say we do not have ENOUGH cats on the internet! Thanks so much for sending me your book! I can't wait to read all about your adventures - I am sure I will learn a lot about the meaning of life and naps. Thanks again! Aww, you're so cute with your flamingo! Is that a flamingo you're holding? My, how unique. Mom? I want one too!!! Happy Mo Cats Day and weekend ! Hi Boys! Hope you had a great Mo-Cats Day! We lurrve you too, Max! They can't keep us off the innernets! !